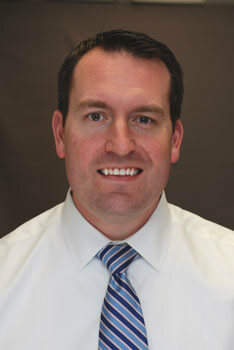 Dr. Mumford is a native of South Jordan, Utah in the heart of the beautiful Rocky Mountains. Dr. Mumford has many interests and hobbies including: fly fishing, back packing, drawing, painting, opera and bread making. Dr. Mumford graduated from Utah State University and received his Doctor of Dental Medicine from the University of Connecticut School of Dental Medicine. He then completed a residency in advanced education in general dentistry at The University of Connecticut School of Dental Medicine. Dr. Mumford has been recognized by his peers in the “Best Dentist” listings of Connecticut Magazine for the past three years. Dr. Mumford maintains memberships in the American Dental Association, Connecticut State Dental Association and The Academy of General Dentistry. Dr. Mumford and his lovely wife Tammy, enjoy spending time with their children and being active in their church congregation. Dr. Mumford has been named “Top Dentist” in Connecticut Magazine in 2012, 2013, 2014, 2015, 2016, 2017 and “Best Dentist” in Hartford Magazine in 2018.